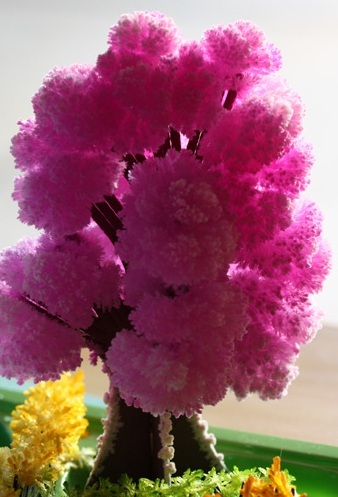 Magic Tree is a miniature artificial tree that grows forming ornamental 'buds' in as little as 15 minutes, and 'magically' matures into a fully bloomed delicate tree in about 6-10 hours. One of our fastest moving products, non-toxic, eco-friendly and easy to do-it-yourself . People from all age groups find Magic Tree absolutely amusing. 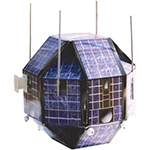 Aryabhatta is renowned to be the first Indian experimental satellite that was sent to space. For the students who want to prepare a model of this satellite, our Aryabhata-Making-Kit- is an ideal option. An exact replica of the satellite, this model enables kids to understand the different components and how each of these works. 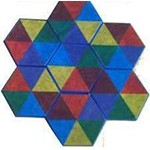 Hexagonal-puzzle is a very popular mathematical game offered by us for kids of all ages. The puzzle has 7 hexagons. We have to place them near each other, in such a manner that 2 adjacent faces will have same colour. 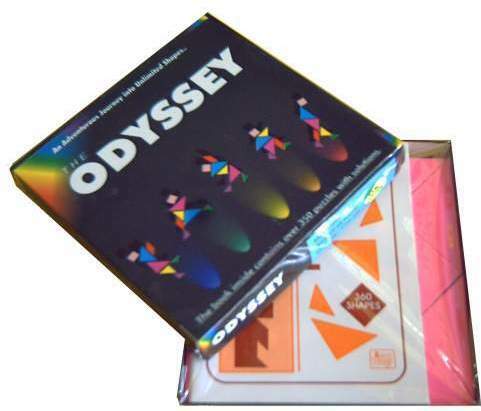 In our diversified range, we bring forth for our clients an interesting mathematical game called odyssey. It is a shapes puzzle, popularly known as Chinese tangram. It has 7 pieces. We can make hundreds of shapes using all seven pieces. Each shape is like a puzzle. The book has over 360 shapes with their solutions. Electricity-from-solar-energy In our wide range of scientific and experimentation projects, we bring forth for students electricity-from-solar-energy. 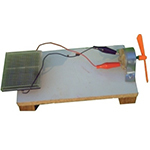 This project is effective in demonstrating the process of conversion of solar energy into electrical energy. 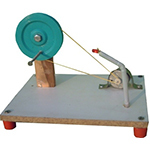 Often used in schools and colleges, this project helps in providing practical knowledge to the kids. Students love to explore the space as it is not visible through naked eye and carries many exciting secrets. The Star-Projection-Theatre is a project kit offered by us is that can take the kids a step closer to universe. 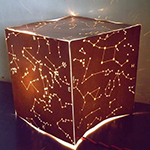 This project kit contains material that can help make a 3-D appearance of stars projected on the roof and walls. Based on the principle of production of dynamically induced emf, we have developed a dc-generator. this has two major parts-a magnetic field and a conductor that is moved, so as to cut the flux. The emf causes a current to flow when the conductor circuit is closed. All these processes can be visualized practically with the aid of dc-generator offered by us. Connect several lemons by Zinc, Copper Plates and generate electricity. 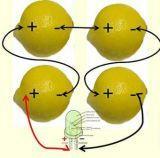 Connect several lemons by Zinc, Copper Plates and generate electricity. 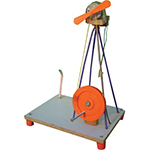 IThe wind-mill-generator-model depicts a wind turbine that helps in the extraction of energy from wind. A rotary device, this model of wind mill generator gives an idea of how the wind mill works and serves the required purpose. Designed strictly as per scientific principles, this project is assured to provide true knowledge to the science students.